Sparks fly during robot fighting time! PART has a thriving combat robotics program, the first of it’s kind for high school aged students in Northern California! Sparks Fly at the 2017 NRL Nationals! The National Robotics League - a high school combat bot league in the 15 lb weight class. Our participation in NRL typically spans Oct through May, depending on the Regional events the team chooses to attend. Insect weight combat bots - PART competes throughout California insect weight competitions, including 1lb Antweight and 3lb beetleweight. 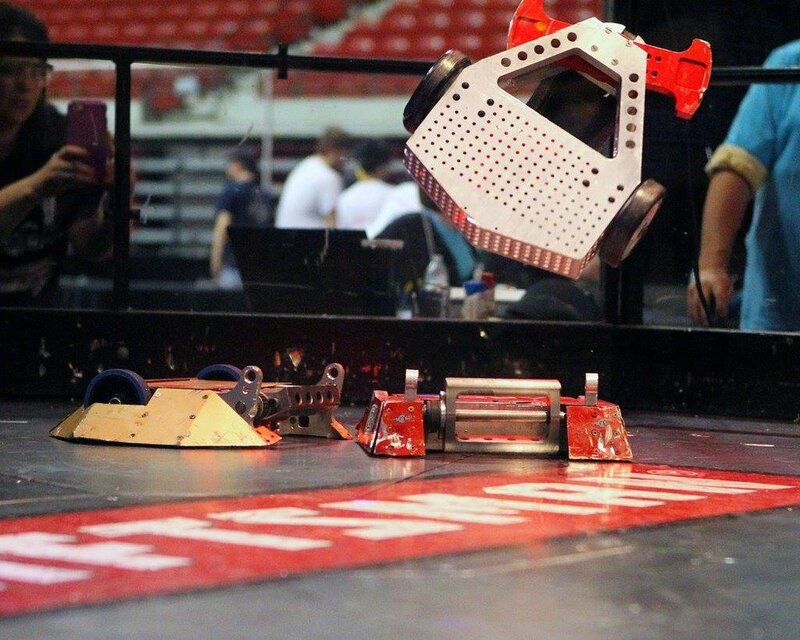 Come check out the action locally in Sacramento at the Smackdown at SacTown (CSUS) and NorCal Robotics Expo (Sierra College)! More action from the 2017 NRL Nationals! NRL Regional Competitions are held across the United States, culminating with the NRL National Competition in May 2019. PART and NTMA are exploring the possibility of starting a Northern California Regional. Currently teams in the San Francisco Bay Area, greater Sacramento area and Central Valley need to travel to Southern California or other regions to compete. We are looking for high schools/non profit competitive teams, educators, NTMA members, industry leaders, mentors, pro-bot builders and sponsors who would like to join us to champion bringing NRL to Northern California. Contact PART at info@placerrobotics.org to learn more!